Pool is a fun way to spend your time either out at a bar, in a pool hall or in the comfort of your own home. While many people play the game of bar pool, few are aware of the many different pool games that you can play. Some pool games require special additional equipment, but most need nothing more than cue sticks and balls. Eight ball is the common pool game played by most people in the United States. 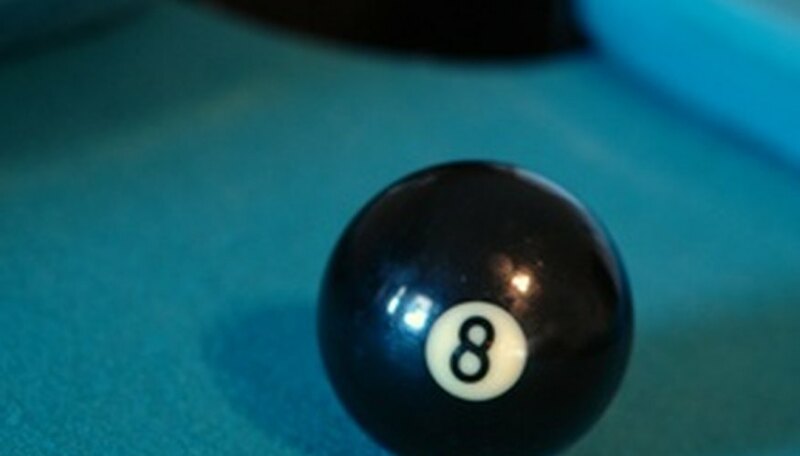 Eight ball begins by racking the balls in a triangle with the eight ball centered, the one ball at the apex of the rack and a stripe ball and a solid ball in the two other corners. Once a ball is pocketed, you must then pocket all other balls of its type (striped or solid) before pocketing the eight ball. Non-obvious shots must be called, and accidentally pocketing the eight ball or scratching off of it results in a forfeit. Nine ball is an internationally popular pool game played with nine balls. Players must touch the lowest numbered ball with the cue ball on every shot or suffer a foul resulting in the end of their turn and the opposing player getting the ball in hand. The only exception to this rule is the opening break, where a player may hit another ball first, provided that at least four balls hit the rails. The only object of the game is to pocket the nine ball first; however, this may not be done on a foul. Cowboy pool is a rarer form of pool that requires only four balls (the one, three, five and cue balls) and combines elements of pool and billiards. The game is set up by placing the one ball on the dot at the top of the table, the three ball at the dot on the bottom and the five ball directly between them. Pocketing any ball results in scoring points equal to the number on the ball. Balls are reset after pocketing. Caroming (touching) two balls results in an additional point, while caroming three balls gains two points. The first 90 points of the game may be scored any of the above ways. Points 91 through 100 must be scored through caroming. The winning point of the game is scored only by pocketing the cue ball off of the one ball without the cue ball touching any other balls. The pocket on the final shot must be called. One pocket pool is a game of eight ball or straight pool with a twist—players may only score in a single corner pocket. Points are awarded for every ball pocketed in the correct pocket. The first player to eight points wins.